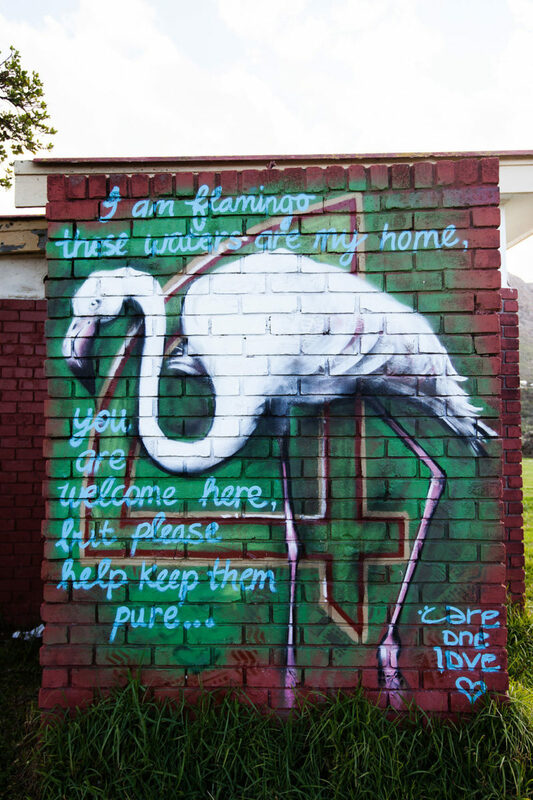 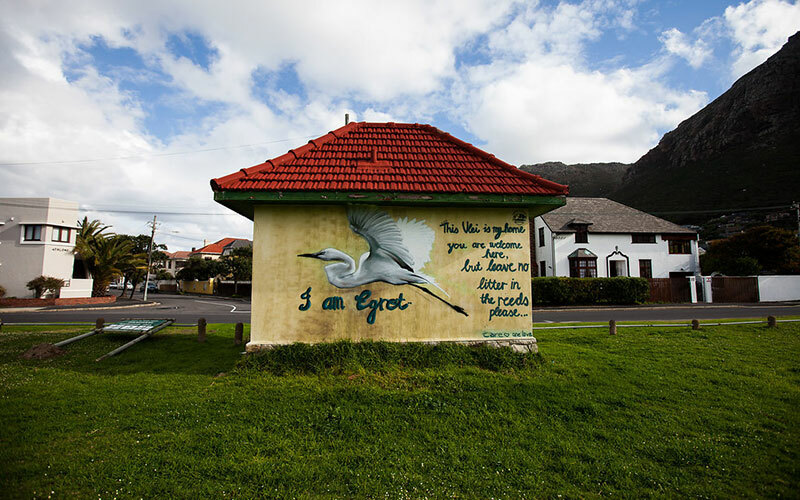 The Zandvlei Trust invited the talents of Claire Homewood to ‘pretty up’ a few of the old Municipal buildings surrounding the lower reaches of the Zandvlei Estuary. 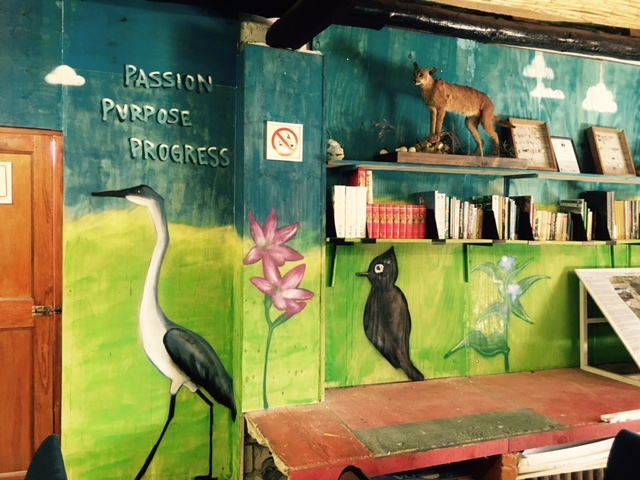 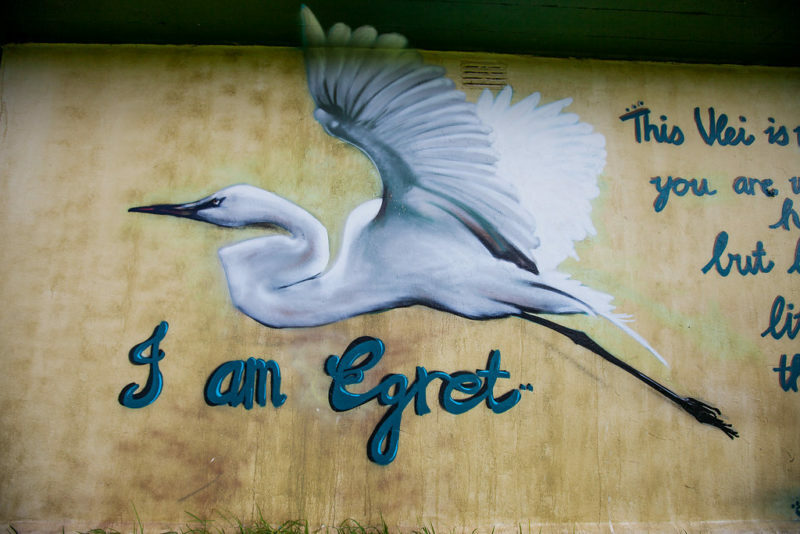 She also painted the inside walls of the Environmental Education Centre in the Zandvlei Nature Reserve. 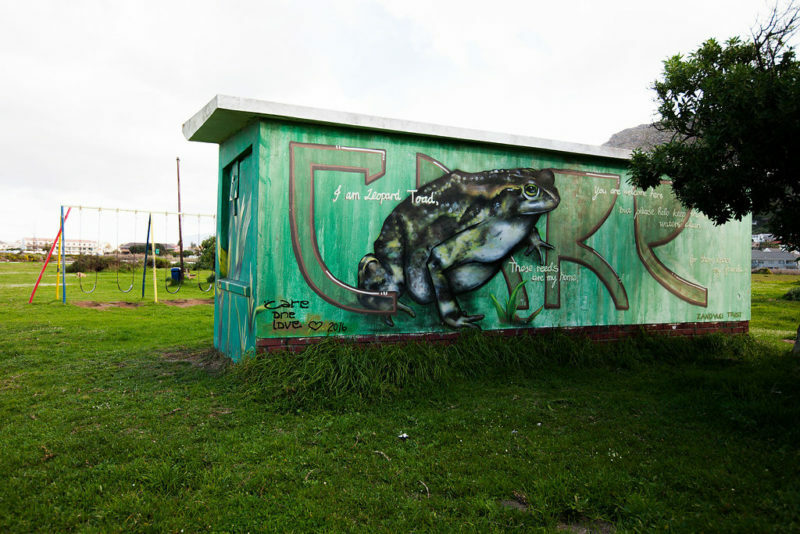 Her paintings in all cases depict some of the wildlife which occurs in the Reserve. 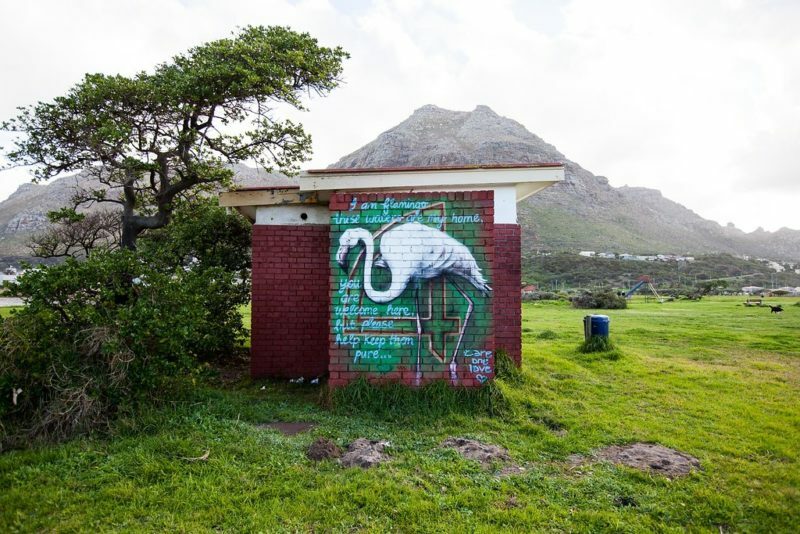 Claire is looking to expand this work to the picnic / braai area to bring awareness to the plastic and litter issue on the vlei. 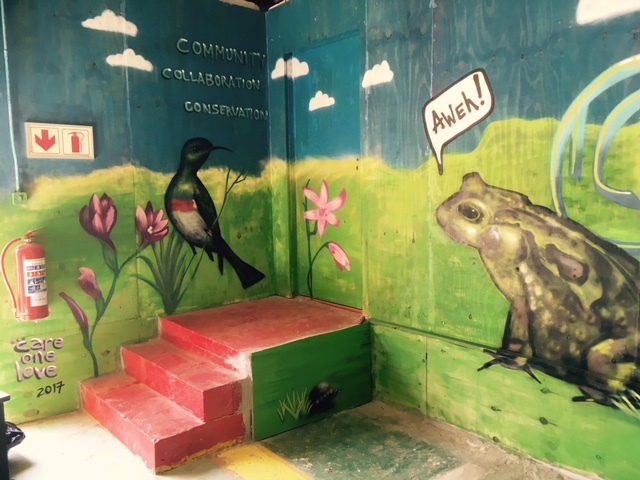 These materials are not cheap and any contributions would help tremendously. 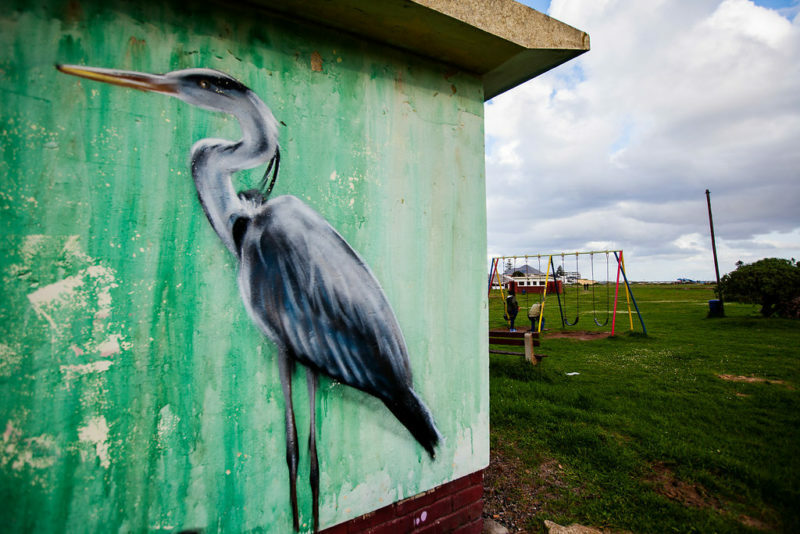 Please donate here and use “colour on the vlei” as project reference.